This article critically examines the current developments regarding the religious terrorism of Boko Haram, an extremist Islamist group, which operates largely in the north-east states of Nigeria. Boko Haram’s avowed aim is to wrest control from the Nigerian government and to impose a strict form of Sharia law across a country of about 170 million people. Since 2009, when Boko Haram first launched its Islamic insurgency, over 5 000 Nigerians have lost their lives in bombings and shootings carried out by the group. In addition to a brief discussion of the emergence, demands, ideology and external links of Boko Haram, the article focuses analytic attention on how the Nigerian state has responded to the menacing threat of the group. This is followed by a critical engagement with the current debate in Nigeria regarding what can be said for and against negotiating with Boko Haram members, and for or against fighting them. In conclusion, the article offers some fresh and multifaceted recommendations on how to effectively address the Boko Haram impasse. Since July 2009, more than 5 000 people have been killed in bombings and gun attacks by Boko Haram, an extremist Islamist group from north-eastern Nigeria whose avowed aim is to overthrow the secular government in Nigeria and impose an Islamic state governed on the basis of Sharia law (Agbiboa 2013a). These violent attacks, which show evidence of increasing coordination and sophistication, adds a further complication to the festering security challenges in Nigeria by exacerbating existing ethno-religious tensions and inter-communal violence in northern Nigeria (Maiangwa et al. 2012). As the crisis escalates, the Nigerian state has intensified its efforts to rein in the threat of the group. This paper critically examines the current developments regarding the ongoing violent campaign of Boko Haram in northern Nigeria, including in this instance, the reasons behind the group’s rebellion and the ways in which the Nigerian state has responded to the crisis since it erupted in 2009. Furthermore, the paper critically engages with the ongoing debate in Nigeria regarding what can be said for and against negotiating with Boko Haram members, and for or against fighting them. The rest of the paper is structured into six parts. The first provides a brief review of existing literature on religious terrorism in order to glean an understanding of the Islamic insurgency of Boko Haram. The second part provides a brief background to northern Nigeria and militant Islam, with particular attention to the Maitatsine uprisings. The third part explores the terrorism of Boko Haram, focusing specifically on the group’s emergence, ideology, demands, and external links. The fourth part attempts to understand why Boko Haram rebels. The fifth part critically examines how the Nigerian state has responded to the threat of Boko Haram, as well as how these responses have divided Nigerians over the Boko Haram issue. Finally, the conclusion offers some recommendations on how to effectively address the current impasse. Religious terrorism: What does the literature say? Although terrorism has always formed part of social existence (Rapoport 1984), it became ‘significant’ for the first time in the 1960s when it ‘increased in frequency’ (Sandler et al. 1983:36) and assumed ‘novel dimensions’ as a transnational phenomenon (Mickolus 1980:2), creating in the process what Jenkins (1975:1) describes as a ‘new mode of conflict’. Specifically, the link between religion and terrorism has a long genealogy in Western scholarship (Hasenclever and Rittberger 2000). The idea of a nexus between religion and terrorism dates back to David C. Rapoport’s (1984:658–677) seminal paper in The American Political Science Review – entitled ‘Fear and Trembling: Terrorism in Three Religious Traditions’ – which analyses the use of terror in three religious traditions: Hinduism, Islam, and Judaism. As the pioneering comparative study of religious terror groups, Rapoport’s paper provides ‘detailed analyses of the different doctrines and methods of the three well-known groups: the Thugs, Assassins, and Zealots-Sicarii’ (Rapoport 1984:658). Despite a primitive technology, Rapoport argues that these groups ‘each developed much more durable and destructive organizations than has any modern secular group’ (Rapoport 1984:658). Rapoport’s influential paper inspired many similar works, primarily in the field of terrorism studies, which sought to explain ‘why violence and religion have re-emerged so dramatically at this moment in history and why they have so frequently been found in combination’ (Juergensmeyer 2003:121). In this particular literature, religious terrorism has been raised above a simple label to a set of descriptive characteristics and substantive claims which appear to delineate it as a specific ‘type’ of political violence, fundamentally different to previous or other forms of terrorism. As argued by Hoffman, this new type of terrorism produces ‘radically different value systems, mechanisms of legitimation and justification, concepts of morality and worldview’ (Hoffman 2006:88), and ‘represents a very different and possibly far more lethal threat than that posed by more familiar, traditional terrorist adversaries’ (Hoffman 2006:272). The claim about the specific nature of religious terrorism rests on a number of arguments, three of which are discussed here (see Figure 1). They have come to hate secular governments with an almost transcendent passion … dreamed of revolutionary changes that would establish a godly social order in the rubble of what the citizens of most secular societies have regarded as modern, egalitarian democracies … The logic of this kind of militant religiosity has therefore been difficult for many people to comprehend. Yet its challenge has been profound, for it has contained a fundamental critique of the world’s post-Enlightenment secular culture and politics (Juergensmeyer 2003:232). It is further argued that religious terrorists have objectives that are absolutist, inflexible, unrealistic, devoid of political pragmatism and hostile to negotiation (Gunning and Jackson 2011). As Matthew Morgan (2004:30–31) notes: ‘Today’s terrorists don’t want a seat at the table, they want to destroy the table and everyone sitting at it’. Byman (2003:147) says of Al-Qaeda: ‘Because of the scope of its grievances, its broader agenda of rectifying humiliation, and a poisoned worldview that glorifies jihad as a solution, appeasing Al-Qaeda is difficult in theory and impossible in practice’. A second important argument suggests that religious terrorists employ a different kind of violence to secular terrorists. For example, it is argued that for the ‘religious terrorist, violence is … a sacramental act or divine duty executed in direct response to some theological demand’ (Hoffman 2006:88), as opposed to a tactical means to a political end. Furthermore, it is suggested that because religious terrorists have transcendental aims, are engaged in a cosmic war and lack an earthly constituency, they are not constrained in their pedagogy of violence and take an apocalyptic view of violent confrontation: ‘What makes religious violence particularly savage and relentless is that its perpetrators have placed such religious images of divine struggle – cosmic war – in the service of worldly political battles’ (Juergensmeyer 2003:149–150). For this reason, acts of religious terror serve not only as tactics in a political struggle, but also as evocations of a much larger spiritual confrontation. Thus, religious terrorists aim for maximum causalities and are willing to use weapons of mass destruction (Gunning and Jackson 2011). As Magnus Ranstorp (1996:54) puts it, they are ‘relatively unconstrained in the lethality and the indiscriminate nature of violence used’ because they lack ‘any moral constraints in the use of violence’. Similarly, Jessica Stern (2003:xxii) argues that ‘[r]eligious terrorist groups are more violent than their secular counterparts and are probably more likely to use weapons of mass destruction’. 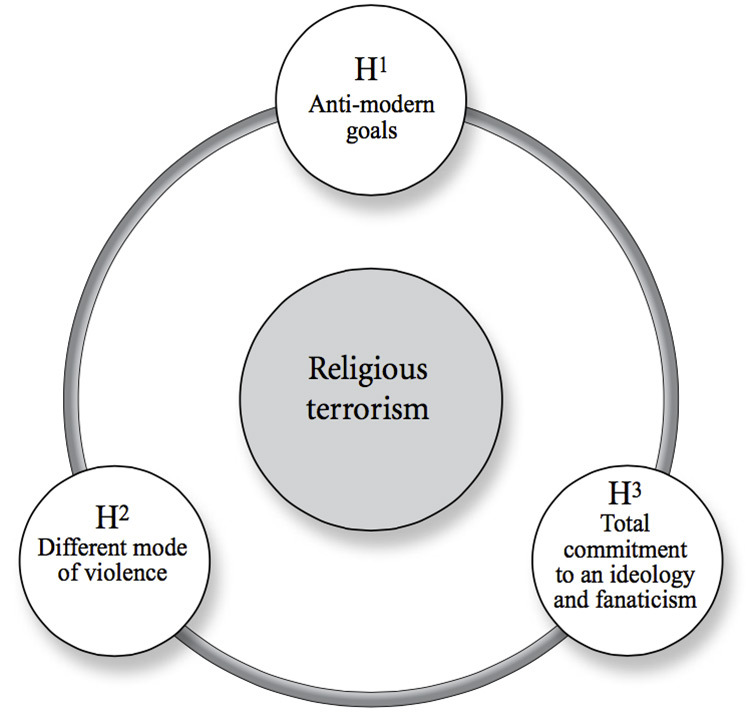 Thirdly, it is argued that religious terrorists have the capacity to evoke total commitment and fanaticism from their members; they are characterised by the suspension of doubt and an end-justifies-the-means view of the world – in contrast to the supposedly more measured attitudes of secular groups (Gunning and Jackson 2011). Juergensmeyer (2003:220) argues that ‘these disturbing displays have been accompanied by strong claims of moral justification and an enduring absolutism, characterised by the intensity of the religious activists’ commitment’. Moreover, it is suggested that in some cases the certainties of the religious viewpoint and the promises of the next world are primary motivating factors in driving insecure, alienated and marginalised youths to join religious terrorist groups as a means of psychological empowerment. As Juergensmeyer (2003:187) argues, ‘[t]he idea of cosmic war is compelling to religious activists because it ennobles and exalts those who consider themselves a part of it … it provides escape from humiliation and impossible predicaments … They become involved in terrorism … to provide themselves with a sense of power’. It is further argued that such impressionable, alienated and disempowered young people are vulnerable to forms of brainwashing and undue influence by recruiters, extremist preachers or radical materials on the internet (Hoffman 2006:197–228, 288–290; Agbiboa 2013b). Romero (2007:445), for example, argues that Islamist terrorist connections can provide ‘social backing, meaning to life (to compensate for the spiritual emptiness felt), and a social or collective identity mainly based on the pride of forming part of the jihad as the only way of reaching the power and glory of Islam’. It is important to note that the seismic rise of radical Islamist terrorism starting in the 1980s and 1990s has significantly contributed to the frequency and lethality of attacks perpetrated by religious terrorist groups (Rapoport 1998; Juergensmeyer 1997; Agbiboa 2013a). Available empirical data show that over the period 1968 to 2005, Islamist groups (especially groups affiliated with Al-Qaeda in the Islamic Maghreb) were responsible for 93.6 percent of all terrorist attacks and 86.9 percent of all casualties inflicted by religiously-oriented terrorist groups (Terrorism Knowledge Base, cited in Piazza, 2009:66). Piazza (2009:66) explains the higher frequency and intensity of terrorist activity among Islamists in the light of the (mis)interpretation of certain doctrines and practices within Islam, including the concept of ‘lesser jihad,’ the practice of militant struggle to defend Islam from its perceived enemies, or the Muslim reverence for ‘Itishhad’ (the practice of martyrdom). Piazza also shows how Al-Qaeda type groups fit a typology defined as ‘universal/abstract’ while other Islamist terrorist groups are more properly categorised as ‘strategic’ (Piazza 2009:65). For Piazza, ‘the primary difference between universal/abstract groups and strategic groups is that the former are distinguished by highly ambitious, abstract, complex, and nebulous goals that are driven primarily by ideology … in contrast, strategic groups have much limited and discrete goals: the liberation of specific territory, the creation of an independent homeland for a specific ethnic group, or the overthrow of a specific government’ (Piazza 2009:65). According to this perspective, extremist Islamist groups like Al-Shabaab, Al-Qaeda, Boko Haram and Ansaru, among others, fall into the universal/abstract category on account of their global jihadist appeal, their absolutist and inflexible objectives, and their rigid ideological stance against outposts of the West and perceived enemies of Islam. Before examining the religious terrorism of Boko Haram in northern Nigeria, it is expedient to provide a brief analysis of historical antecedents in northern Nigeria that may shed some light on the ongoing religious terrorism of Boko Haram. Following independence, the first major experience of organised religious militancy in northern Nigeria came with the Maitatsine uprisings, which some scholars have connected to the jihad of Usman Dan Fodio in the 19th century. Usman Dan Fodio’s jihad established the powerful Sokoto Caliphate (1804– 1903) under the supreme law of Sharia (Hickey 1984; Adesoji 2011; Maiangwa 2014). The Maitatsine movement was formed by an Islamic preacher called Muhammadu Marwa (nicknamed ‘Maitatsine’– that is, ‘the one who curses’). Marwa migrated from Cameroon to northern Nigeria in 1945 (Pham 2012:2). Maitatsine polemics against Islamic authorities in Kano state were condemned by the British colonial authorities, who found him an extremist preacher. In Kano, Marwa became an Islamic zealot preoccupied with the purification of Islam. He believed that Islam had come under the corrupting influence of modernisation (Westernisation) (Danjibo 2009:6; Falola 1998:146). Marwa attracted the urban poor in the northern city of Kano with his message that ‘denounced the affluent elites as infidels, opposed Western influence, and refused to recognize secular authorities’ (HRW 2012:22). Some of the poor and marginalised population of northern Nigeria – the talakawa (‘commoners’)– were attracted to Maitatsine because ‘he condemned the hypocrisy and ostentation of the nouveau riche and promised redemption and salvation to God’s righteous people’ (Hickey 1984:253). The Maitatsine uprisings led to eleven days of violent clashes with state security forces in Kano in December 1980. A tribunal of inquiry established by the federal government in 1981 found that 4 177 people were killed in the violence, excluding members of the police force who lost their lives trying to rein in the excesses of the sect. Nevertheless, state security forces were implicated in extrajudicial killings and arbitrary torture of Maitatsine members in their custody (HRW 2012; Agbiboa 2013a). Although the Nigerian military crushed the uprisings and killed its leader, the following five years (1981–85) witnessed the deaths of hundreds of people in reprisal attacks between remnants of the radical movement in the north and state security forces. Commenting on the issue, Falola (1998:138) regarded the Maitatsine uprisings in Kano and neighbouring areas of northern Nigeria in the 1980s as the first public religious violence in post-colonial Nigeria. Perhaps, it is also the first religious violence in Nigeria that, in all practical terms, demonstrates how religious ideology could link extremist groups from two different countries since, as mentioned earlier, Marwa (the Maitatsine leader) was a Cameroonian national. The Maitatsine uprisings technically ended in the 1980s. However, spates of violent religious activism saturated northern Nigeria from the 1990s onward. The emergence of Boko Haram, since its first violent uprising in 2009, represents yet another violent form and phase of religious radicalism in northern Nigeria (Forest 2012). But who and what is Boko Haram? Boko Haram (a nomenclature which means ‘western education is sinful’) officially calls itself Jama’atu Ahlus-Sunnah Lidda’Awati Wal Jihad, which translates as ‘People Committed to the Prophet’s Teachings for Propagation and Jihad’ (American Foreign Policy Council 2013:1). It is widely claimed that the group has been in existence since 2002. However, Boko Haram became the cynosure of public eyes in 2009, when it propagated the sectarian violence that primarily engulfed Bauchi and Maiduguri, killing over 1 000 people, including its initial leader Mohammed Yusuf. Yusuf was reportedly killed by the Nigerian police while in custody (Paris Model United Nations 2012:4). Besides ushering in another ‘phase of security forces ruthlessness in Nigeria’ (Bamidele 2012:35), the death of Yusuf in police custody and the failure of the Nigerian government to prosecute those security personnel that were responsible for the extrajudicial killing of the Boko Haram leader, have been cited as one of the major reasons behind the ultra-radical turn of Boko Haram (Maiangwa and Uzodike 2012:3). At the end of the July 2009 uprising, the remaining members of the group reportedly fled to neighbouring countries, ‘where they attracted the attention of global jihadist movements based around the Sahel’ (Walker 2012:4). 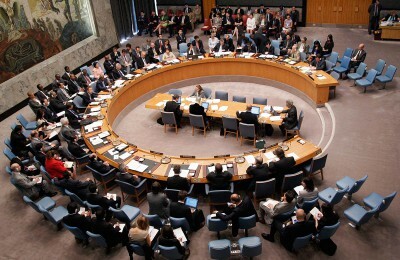 The UN Security Council reports that Boko Haram members received training in a Tuareg rebel camp in Mali during the group’s hibernation (Thurston 2011). In mid-2010, Boko Haram resurfaced in Maiduguri and started an unprecedented campaign of assassinations and suicide bombings, which, combined with its ideological appeal, have continued to smoulder. Some observers claim that the ‘speed at which the group developed the capability to produce large and effective improvised explosive devices and enlist suicide bombers to deliver them suggests outside help’ (Walker 2012:2). The group has so far waged audacious attacks on an array of public places including police stations, prisons, schools, places of worship, media houses, and the United Nations Headquarters in Abuja (Agbiboa 2013c; Forest 2012). The attack on the Nigerian police headquarters in Abuja by Boko Haram is believed to be the first suicide attack in Nigeria (Maiangwa et al. 2012:48). For the rest of 2010, ‘the group attacked many police and state officials in Borno and Bauchi states, and extended its reign of terror to anyone – particularly Islamic clerics and traditional rulers – perceived to be in cahoots with the secular Nigerian government’ (Maiangwa 2013:96). Some other prominent attacks waged by the sect in 2011 and 2012 include the Madalla Christmas Day 2011 bombing that killed over 45 people, and the 20 January 2012 coordinated attacks on three government establishments in Kano state, where over 185 people were reported dead (Maiangwa 2013:96). As the name suggests, Boko Haram is strongly opposed to what it sees as a Western-based incursion that threatens traditional values, beliefs, and customs among Muslim communities in northern Nigeria. The group’s first leader, Mohammed Yusuf, told the BBC in 2009: ‘Western-style education is mixed with issues that run contrary to our beliefs in Islam’ (BBC News 2009). Elsewhere, the charismatic leader noted: ‘Our land was an Islamic state before the colonial masters turned it to a kafir (infidel) land. The current system is contrary to true Islamic beliefs’ (Daily Trust 27 July 2009). It also appears that Boko Haram leaders have been linking their jihad in Nigeria with the global jihad being fought by foreign terrorist organisations like Al-Shabaab in Somalia and Al-Qaeda in the Islamic Maghreb (AQIM). On 24 November 2011, a spokesman for Boko Haram, Abul Qaqa, stated: ‘It is true that we have links with Al-Qaeda. They assist us and we assist them’ (Chothia 2011). On one occasion, Boko Haram claimed that some of its members have been sent to Somalia to learn the acts of suicide bombing and destabilisation (Thurston 2011). A spokesperson of the group is reported to have stated that ‘very soon, we will wage jihad … We want to make it known that our jihadists have arrived in Nigeria from Somalia where they received real training on warfare from our brethren who made that country ungovernable … This time round, our attacks will be fiercer and wider than they have been’ (cited in Maiangwa et al. 2012:48). Zenn (2013) claims that the suicide bomber that attacked the UN headquarters on 26 August 2011 in Abuja was a Cameroonian man called Mamman Nur, who reportedly travelled to Somalia to receive explosives training from Al-Shabaab before returning to Nigeria to execute the attack. The foregoing suggests that Boko Haram may be joining forces with other jihadist groups in Africa for a variety of reasons: for training, for refuge, for financial support, and most importantly, for the fact that most of these jihadist groups are united by their strong religious ideology – a key feature of Piazza’s universal/abstract groups. The last factor (spiritual ideology) played out during the 2012 Malian crisis when Boko Haram’s splinter group, Ansaru, which means ‘Vanguards for the Protection of Muslims in Black Africa’ (Vanguard 2 February 2012), killed two Mali-bound Nigerian troops in Kogi on 19 January 2013. The group justified this attack as ‘retaliation for the French-led intervention in Mali and “Western atrocities” in Afghanistan’ (Zenn 2014:26). In February 2013, Ansaru1 also kidnapped seven foreign workers in north-eastern Nigeria and executed them, blaming the deaths on a joint Nigerian-British military operation intended to free the hostages (CNN 9 March 2013). The Nigerian media has also attributed to the splinter group the murder of four Chinese nationals, three Indians, and a Ghanaian in Borno, as well as the kidnapping, in May 2011, of two Europeans in an Italian construction company in Kebbi state who were killed in a botched rescue attempt in 2012 (Council on Foreign Relations 2012). According to Johnnie Carson, the assistant secretary of state in the Bureau of African Affairs, ‘Boko Haram is composed of at least two organisations, a larger organisation focused primarily on discrediting the Nigerian government, and a smaller more dangerous group that is increasingly sophisticated and increasingly lethal’ (IRIN 16 July 2012). In a recent report on insurgency of Boko Haram in Nigeria, the International Crisis Group (ICG 2014:38) claims that the group could even be composed of six factions. And that it is this fractious nature of the group that has made the possibility of a modus vivendi with Boko Haram difficult. Where does Boko Haram derive its funding from? In the past, the Nigerian authorities have been criticised for being unable to trace much of the funding that the group receives. However, in February 2012, recently arrested Boko Haram officials revealed that while the organisation initially relied on donations from members, its links with Al-Qaeda opened it up to more funding from groups in Saudi Arabia and the United Kingdom (Agbiboa 2013d). Furthermore, the arrested officials divulged that other sources of funding included the Al Muntada Trust Fund and the Islamic World Society. A spokesman of Boko Haram also alleged that Kano State Governor Ibrahim Shekarau and Bauchi State Governor Isa Yuguda had placed them on a monthly salary (Agbiboa 2013d). Quite aside, Boko Haram is reportedly robbing local banks and demanding money from local traders in the north-east of Nigeria in order to finance its activities. On 10 December 2011, Mohammed Abdullahi, Central Bank of Nigeria spokesman, claimed that ‘at least 30 bank attacks attributed to Boko Haram were reported in 2011’ (Onu and Muhammed 2011). Beyond bank robberies and individual financiers, there have also been rumours of Boko Haram’s involvement in trafficking illicit weapons and kidnapping expatriates and tourists for ransom (Agbiboa 2013a). On 13 November 2013, Boko Haram kidnapped a French priest, Georges Vandenbeusch, in Nguetchewe parish of Moyo-Moskota in Cameroon. However, the priest was freed on 31 December, reportedly ‘after Boko Haram received payment of a ransom and the release of one of its prominent leaders imprisoned in Maroua, Cameroon’ (ICG 2014:18). Also, many in the south believe Boko Haram is being sponsored by powerful northern politicians whose aim is to pressure the Jonathan administration into abandoning any plans Jonathan may harbour of extending his term in office beyond 2015 (IRIN 16 July 2012). Ishiekwene, however, argues that ‘it’s nonsense to suggest that these politicians, whoever they are, would kill their kith and kin – and abduct their daughters on a mass scale – to prevent Jonathan from returning to power’ (Foreign Policy 6 May 2014). The extent of relative poverty and inequality in the north has led several analysts and organisations to argue that socio-economic deprivation is the main factor behind Boko Haram’s campaign of violence in northern Nigeria (OECD 2013; Mustapha 2012; Kukah 2012; Agbiboa and Maiangwa 2013; HRW 2012). Kwaja (2011:1), for example, argues that ‘religious dimensions of the conflict have been misconstrued as the primary driver of violence when, in fact, disenfranchisement and inequality are the root causes’ (see also Mustapha 2012; Kukah 2012). Explanations such as these are often informed by the human needs theory of social conflicts which holds that all human beings have basic needs which they seek to fulfil, and that failure to meet these needs could lead to the outbreak of violent conflict (Rosati et al. 1990). However, the link between socio-economic deprivation and the outbreak of conflict has been criticised as simplistic (Agbiboa 2013a). This is largely because it fails to explain why some poor people or places do not participate in violence, and because it offers very little in the way of clear recommendation for policy-makers (Agbiboa 2013a). In their work entitled ‘What causes terrorism?’ Krieger and Meierrieks (2011) examine a host of possible influences on terrorism, including, inter alia, global order, contagion, modernisation, institutional order and identity conflict. Following a detailed review of the relevant empirical literature on what causes terrorism, they concluded that ‘there is only limited evidence to support the hypothesis that economic deprivation causes terrorism … poor economic conditions matter less to terrorism once it is controlled for institutional and political factors’ (Krieger and Meierrieks 2011:3). Instead, they argue that ‘terrorism is closely linked to political instability, sharp divides within the populace, country size and further demographic, institutional and international factors’ (Krieger and Meierrieks 2011:3). However, although militant Islam is the religious ideology that drives groups like Boko Haram, the relative deprivation theory cannot be simply wished away in the Boko Haram narrative. To begin with, northern Nigeria, especially the north-east, presents an ample example of impoverishment as demonstrated by widespread poverty, unemployment, infrastructural decay, and environmental stress. All these factors, while not directly the cause of the Boko Haram terrorism, nonetheless goad foot soldiers and foster a permissive environment for Boko Haram’s operations. Despite Nigeria’s economic growth in recent times, poverty and income inequality are high in the country. The International Crisis Group (2014:3) reports that 112.5 million Nigerians (70 percent of the population) are classified as ‘poor and absolutely poor’. The north-east, Boko Haram’s operational centre, ‘has the worst poverty rate of the six official zones’ (ICG 2014:3; see also Tables 1 and 2). This is compounded by the issue of illiteracy and climate change. Education in the north is poorly funded and even so, secular schools are scarce in the north-east of the country. And because many children are sent to Quranic schools where they often beg for alms on the streets; in the context of widespread poverty and social decay, this practice is open to abuse by groups like Boko Haram (ICG 2014:4). Source: UNDP (2009:10), cited in Agbiboa (2013a:77). What matters in the context of relative deprivation is how individuals feel about their position in the society. For instance, Moghaddam (2006:22) argues that ‘a Muslim might feel deprived because of the position of Muslims vis-í -vis other groups’. What is important to note here is that the feeling of deprivation in this sense is not merely restricted to the absence of material goods. It could be egoistical, fraternal and historical. According to Moghaddam (2006:47), feelings of relative deprivation in the Islamic world can be considered ‘in the historical context of the Near and Middle East’. This leads us to another noticeable characteristic of the Boko Haram phenomenon: its religiosity, which has largely been woven into its fabric by historical processes of religious politicisation in Nigeria’ (Maiangwa 2014:58). In addition, the Iranian revolution of 1979 adds another dimension to militant Islam in Nigeria. The Iranian revolution encouraged some millenarian Islamic movements in Nigeria to fully assert themselves and demand good governance and a corruption-free society through Sharia law. It is interesting to note that the Maitatsine movement became rife in northern Nigeria during this period. This is in addition to the rise of other forms of Islamic revivalism and activism in northern Nigeria in the 1970s and the 1980s. In particular, the Jama’at Izalat al-Bida wa Iqamat al-Sunnah (Society for the Eradication of Evil Innovations and the Reestablishment of the Sunna), better known as the Izala Movement, has contributed to a ‘general religious revival and a much greater public and political role for Islam’ (ICG 2014:8) in northern Nigeria. Thus, it could be argued then, that Boko Haram’s call for social, political, and economic justice through the Sharia ‘reflects another form of violent religious activism which draws its authority from the lineage of the Islamic jihad of Dan Fodio and the establishment of the Sokoto Caliphate’ (Lewis 2002:4, cited in Maiangwa 2014:64), as well as from the revivalist call for the institutionalisation of theocratic states by certain members of the globalised Islamic community in protest to what they regard as an imperialist world order. Given the foregoing, militant Islamism and relative deprivation are crucial factors to consider in understanding why an extremist Islamic group like Boko Haram rebels. However, we also argue that the ultra-violent turn of Boko Haram since it started employing sophisticated weapons and carrying out devastating attacks in 2010, owes largely to the manner in which the crisis has been (mis-)managed by the Nigerian state. Thus, factors like the extrajudicial killing of Boko Haram initial leader Muhammed Yusuf, and the arbitrary arrest, torture and bloodletting of its members by state security forces have coalesced to incubate and sustain the group’s violent attacks. In addition, Boko Haram’s own suspicion of the authorities’ intent to resolve the crisis also fuels the insurgency of the group (ICG 2014:36). Given the foregoing, it is not surprising that Boko Haram remained adamant that it will not negotiate with the Nigerian state. Instead, the group has intensified its attacks on the Nigerian security officials and public establishments. Since the resumption of Boko Haram attacks in 2010, the group has raided over 60 police facilities in at least 10 northern and central states, and Abuja, and killed at least 211 police officers. Between January and September 2012, 119 police officers lost their lives in suspected Boko Haram attacks – more than in all of 2010 and 2011 combined (Agbiboa 2013a). Boko Haram attacks have also increasingly targeted schools in northern Nigeria. In March 2013, approximately 85 secondary schools were closed and over 120 000 pupils were sent home by the Borno state government following attacks on schools by Boko Haram. On 14 April 2014 more than 200 female pupils were abducted when Boko Haram gunmen stormed a boarding school in Chibok, Borno state (Agbiboa 2014c). Two major approaches may be identified through which the Nigerian government has attempted to halt what the Human Rights Watch (2012) regards as the ‘spiralling violence’ of Boko Haram in northern Nigeria. These may be described as the carrot and stick approaches. The carrot approach involves political negotiation with all stakeholders in the Boko Haram conflict. In this regard, the Nigerian state, under the late President Umaru Musa Yar’Adua, established a committee of inquiry led by Ambassador Usman Galtimari to ‘identify the grievances of the sect and make possible recommendations on how to improve security in the north-east region’ (Onuoha 2012). At the state level, the carrot approach has involved overtures and rapprochements to Boko Haram insurgents. For example, former governor of Borno State Ali Modu Sheriff allegedly paid the sum of N100 million to mollify the anger of the group when their leader was killed in 2009. The current governor, Kashim Shettima, called on Boko Haram to come forward for dialogue on 16 July 2011 (Aghedo and Osumah 2012:866). Since August 2011, the government has undertaken ‘back-channel’ talks with Boko Haram according to recommendations made by a panel charged with the task of bringing the group to the negotiating table and providing the option of an amnesty for those who are willing to reject violence and embrace peace talks. On 16 September 2011, former president Olusegun Obasanjo (1999–2007) held talks with some Boko Haram members in their birthplace and stronghold, the north-eastern city of Maiduguri, where they tabled demands for a ceasefire which included an end to arrests and killings of their members, payments of compensation to families of sect members killed by security personnel, and prosecution of policemen responsible for the killing of the group’s initial leader (Agbiboa 2013b). These demands were submitted to President Jonathan who promised to look into them. In 2012, Datti Ahmad, president of the National Supreme Council on Sharia, who is believed to have the respect of Boko Haram’s founder, Mohammed Yusuf, attempted to reach out to the group. Unfortunately, contact was broken by Boko Haram, who accused the Nigerian government of acting in bad faith, after the media gained access to the deliberations. Boko Haram responded to fresh reports of another initiative in early June 2012 by advising the prospective interlocutor, Islamic scholar Dahiru Usman Bauchi, to ‘steer clear’ (IRIN 16 July 2012). In August 2012, 58 percent of Nigerians supported dialogue with Boko Haram, according to a survey by the CLEEN Foundation (originally known as the Centre for Law Enforcement Education) and the Alliance for Credible Elections. In the predominantly Muslim north, where Boko Haram has been most active, there is an almost universal demand for dialogue, while in the south the prevailing attitude is that there can be no negotiation with ‘terrorists’ until they end the insurgency that has killed thousands of innocent people. But with the continued attacks on churches in the north, tolerance is fast evaporating across the mainly Christian south, even though a considerable number of Boko Haram’s victims have been fellow Muslims (IRIN 16 July 2012). In the most recent attempt to negotiate with key leaders of Boko Haram, the Nigerian President Goodluck Jonathan established a 26-member amnesty ‘Committee on Dialogue and Peaceful Resolution of Security Challenges in the North’ (henceforth, the Committee). The Committee, headed by Nigerian Special Duties Minister Kabiru Tanimu, was given a three-month mandate to try to convince Boko Haram to lay down its arms in exchange for a state pardon and social integration (Thurston 2013). According to a released presidential statement, the Committee ‘has been given the task of identifying and constructively engaging key leaders of Boko Haram, and developing a workable framework for amnesty and disarmament of members of the group’ (Thurston 2013). 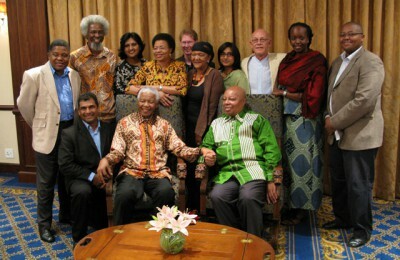 The Committee was made up of former and current government officials, religious authorities and human rights activists. However, Boko Haram’s supreme leader, Abubakar Shekau, has responded to the amnesty entreaties of the Nigerian government by saying that his group has not committed any wrong, and that an amnesty would not be applicable to them. Shekau argued instead that it was the Nigerian government committing atrocities against Muslims. In his words: ‘Surprisingly, the Nigerian government is talking about granting us amnesty. What wrong have we done? On the contrary, it is we that should grant you [a] pardon’. In a video released on 13 May 2013, Shekau vowed not to stop his group’s violent campaigns to establish an Islamic state in Nigeria under a strict form of Sharia law (Agbiboa 2013a). True to his threat, less than a week after Boko Haram rejected Nigeria’s amnesty offer, the jihadist group claimed responsibility for two back-to-back violent attacks in northern Nigeria. In the first attack, Boko Haram members disguised in Nigerian military uniforms, in buses and machine gun-mouthed trucks, laid siege to the town of Bama, in Borno State, killing 55, mostly police and security forces, and freeing over 100 prison inmates. Days later, Boko Haram members killed 53 people and burnt down 13 villages in Nigeria’s Benue state (Agbiboa 2013c). In the wake of the recent violent attacks of Boko Haram, the Nigerian President Goodluck Jonathan declared a state of emergency in an attempt to restore order and reclaim control of the territories taken over by the sect in three northern states – Borno, Adamawa and Yobe – where Boko Haram has been most active (BBC News 2013a). This is not the first time the president has done this. In December 2011, following spates of Boko Haram attacks, President Jonathan declared a state of emergency in 15 local government areas of six northern states. In a pre-recorded address to the Nigerian public on 14 May 2013, President Goodluck Jonathan openly declared that ‘[w]hat we are facing is not just militancy or criminality, but a rebellion and insurgency by terrorist groups which pose a very serious threat to national unity and territorial integrity’ (BBC News 2013a). Jonathan further stated that ‘it would appear that there is a systematic effort by insurgents and terrorists to destabilize the Nigerian state and test our collective resolve’ (BBC News 2013a). The president’s speech clearly underscored the seriousness and unprecedented nature of the Boko Haram crisis, at one point describing how Boko Haram fighters had taken control of state buildings and ‘had taken women and children as hostage’ (Agbiboa 2013a:66). According to Jonathan, ‘these actions amount to a declaration of war and a deliberate attempt to undermine the authority of the Nigerian state and threaten (its) territorial integrity. As a responsible government, we will not tolerate this’ (Fox News 14 May 2013). Jonathan vowed to ‘take all necessary action … to put an end to the impunity of insurgents and terrorists’, including the arrest and detention of suspects, the taking over of Boko Haram hideouts, the lockdown of suspected Boko Haram enclaves, the conducting of raids, and the arrest of anyone possessing illegal weapons (IRIN 22 May 2013). Thus, in 2012, President Goodluck Jonathan amended the Nigerian Terrorism Prevention Act of 2011 and tasked the office of the National Security Adviser to conduct anti-terrorism operations (ICG 2014:30). Since this amendment was made, Boko Haram and its well-known splinter sect, Ansaru, have both been declared as terrorist organisations by the Nigerian government. The International Crisis Group (2014:30) reports that the Nigerian state is now prosecuting several Boko Haram suspects; although it is not exactly clear how the security forces acquired the evidence to arrest these suspected members of Boko Haram considering the well-documented problem of intelligence police data gathering and ‘its poor and inconsistent application’ (ICG 2014:33). Whatever the practical merits of the modest attempts by the Nigerian government to negotiate with Boko Haram and strengthen its anti-terrorism laws, there is ample evidence that lends credence to the overwhelming investment in the stick approach by the Nigerian state, involving the use of state security forces to ‘mount aggressive pursuit and crackdown of [Boko Haram] members’ (Onuoha 2012). To this end and intent, the Nigerian government established a special Joint Military Task Force (JTF), known as ‘Operation Restore Order’ to crush the Boko Haram group. The JTF are supplemented by the Civilian JTF (CJTF) and a small contingent of Chadian and Nigerien forces who were members of a ‘Joint Multinational Task Force (JMTF) initially created to combat smuggling’ (ICG 2014:34). The establishment of these forces have to some extent destabilised the operational capabilities of Boko Haram ‘to conduct coordinated bombings like the ones it carried out in major urban cities in 2011 and 2012’ (ICG 2014:35). However, the effort is yet to blunt the sect’s attacks. This is despite the unprecedented defence and security vote of US$6 billion for 2012, collaboration with Western security forces, and the closure of Nigeria’s borders with its northern neighbours (Al Jazeera 2013b). In the biggest campaign to date against Boko Haram, the Nigerian president ordered some 8 000 soldiers to the troubled northern region in a direct military offensive against Boko Haram fighters (BBC News 2013b). In less than three days into the military operation, the JTF recorded its first achievement, announcing that it had rescued nine women and children held hostage by Boko Haram during a recent crackdown on one of the group’s major hideouts (Sahara Reporters 2013). A curfew was imposed on Maiduguri as the JTF used air strikes to target Boko Haram strongholds. The Nigerian government also imposed a blockade on the group’s traditional base of Maiduguri in Borno State in order to re-establish Nigeria’s ‘territorial integrity’ (Al Jazeera 2013a). However, far too often, members of the JTF and the State Security Services (SSS) have been accused of killing innocent people in the name of countering terrorism in northern Nigeria. In Borno State, for example, JTF members have allegedly resorted to extra-legal killings, dragnet arrests and intimidation of the hapless Borno residents (Agbiboa 2013a). As noted by Hussein (2012:9), ‘far from conducting intelligence-driven operations, the JTF simply cordoned off areas and carried out house-to-house searches, at times shooting young men in these homes’. In Maiduguri, ‘The security agents increasingly see members of the society as siding with the group’ (Hussein 2012:9). Drawing on its interviews with residents at Maiduguri, Human Rights Watch reports that: ‘during raids into communities soldiers have set fire to houses, shops, and cars, randomly arrested men from the neighbourhood, and in some cases executed them in front of their shops or houses’ (HRW 2012:60). Furthermore, ‘government security agencies routinely hold suspects incommunicado without charge or trial in secret detention facilities and have subjected detainees to torture or other physical abuse’ (HRW 2012:58). In a recent crossfire between members of the JTF and Boko Haram in Baga, a village on Lake Chad near Nigeria’s border with Cameroon, up to 187 people were killed and 77 others injured. But Baga residents have accused the JTF, not Boko Haram, of firing indiscriminately at civilians and setting fire to much of the historically fishing town (Atlanta Blackstar 23 April 2013). The Nigerian authorities have rarely brought any security forces to justice for these alleged large-scale crimes against civilians (HRW 2012). Although the Nigerian police have denied the allegations of brutality against civilians, it must be noted that Nigeria’s armed forces have an unenviable history of terrorising ‘ordinary’ Nigerians. As Alemika (1988:161) argues, the legacy of the Nigerian armed forces is that of ‘arbitrariness, ruthlessness, brutality, vandalism, incivility, low accountability to the public and corruption’. The same verdict may be passed on the Nigerian state itself, as the late Professor Ake (1992:16) notes: ‘More often than not, the post-colonial state in Nigeria presented itself as an apparatus of violence, and while its base in social forces remained extremely narrow, it relied unduly on coercion for compliance, rather than authority’. Relentless attacks by Boko Haram, excessive use of force by the JTF and inter-communal violence in northern Nigeria are currently creating a deadly cocktail that puts populations at heightened risk of crimes against humanity in Nigeria. As fighting intensifies between the JTF and Boko Haram, the indiscriminate use of force by both sides is contributing to a rising number of civilian deaths. Caught between what Mustapha (2012) describes as ‘Boko Haram and Government Haram’, civilians continue to face potential mass atrocity crimes. This is especially critical when we bear in mind that the JTF have been accused of targeting civilians and committing human rights violations. Already, the United Nations High Commissioner for Refugees (UNHCR) has announced that over 6 200 refugees have arrived in Niger from northern Nigeria fearing retaliatory attacks and general insecurity as a result of an intensified state offensive against Boko Haram (Agbiboa 2014a). In the latest development, the JTF are enlisting untrained youths armed with machetes and sticks for their fight against Boko Haram. This pattern is increasingly evident across northern states, but especially in Maiduguri where the youth vigilante group – who call themselves the Civilian JTF – and the state JTF are tracking down Boko Haram members and preventing suspected members of the group from returning to the state capital from where they were forced out in a military crackdown in May 2013. The battle between Boko Haram and the Civilian JTF, comprised of some 500 youths, has had a chequered history with many youths needlessly killed. 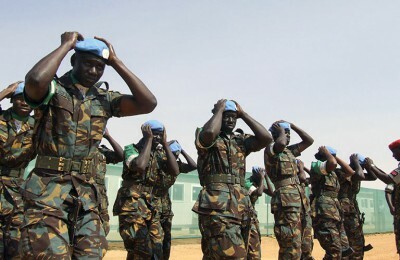 While the efforts of the Civilian JTF have been commended by the state political leadership, there are growing concerns that the Civilian JTF is a ‘brewing disaster’ which could transform into a new militia if their activities were not placed under strict regulation by the state (Olugbode 2013). The growing frustration of the Nigerian government with the deteriorating security situation in northern Nigeria has become increasingly evident in its ‘flip-flop’ approach from dialogue about granting amnesty to Boko Haram members to the deployment of military troops and the proclamation of war against Boko Haram in less than a month (see Council on Foreign Relations 2012). The latter, coupled with President Jonathan’s declaration of a state of emergency in troubled parts of northern Nigeria, has added a further complication to the already Herculean task of the amnesty Committee and made it almost impossible to win the trust of senior Boko Haram leaders (Council on Foreign Relations 2012). The adoption of such contradictory strategies by the Nigerian state has stalled any prospect of a negotiated dialogue with Boko Haram. As one leading rights activist in the north, Shehu Sani, who has participated in past negotiations with Boko Haram, recently noted: ‘You can’t talk of peace on one hand and be deploying troops on the other’ (cited in IRIN 22 May 2013). The questions currently facing the amnesty Committee are serious: How will the new Committee identify credible interlocutors? Can anyone speak for Boko Haram, particularly if it proves increasingly fragmented and prone to the emergence of splinter groups like Ansaru? If Boko Haram has already rejected amnesty, what conditions would induce a volte-face? Does Boko Haram have grievances and demands that an amnesty programme could feasibly address, as in the case of the oil conflict and struggle for survival in the Niger Delta? (Thurston 2013).2 Will the current state of emergency and efforts towards amnesty prove mutually reinforcing, constituting a ‘carrot and stick’ approach to Boko Haram, or does the state of emergency signal that the Nigerian government lacks a clear strategy (Thurston 2013)? The task of the amnesty Committee is also complicated by the fact that, as President Jonathan once argued: ‘Some [supporters and members of Boko Haram] are in the executive arm of government, some of them are in the parliamentary/legislative arm of government, while some of them are even in the judiciary. Some are also in the armed forces, the police and other security agencies’ (Agbiboa 2013a). 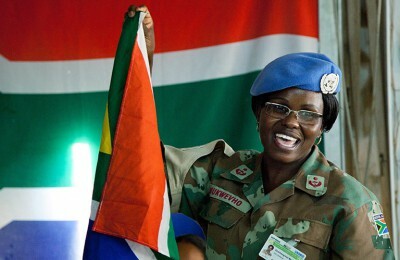 However, Ishiekwene argues that ‘whether the country has been brought to its knees by the enemies within, or whether corruption and poor leadership have enfeebled the government’s response, it is frighteningly clear that this is now a war for the country’s very life’ (Foreign Policy 6 May 2014). Appreciably, the carrot and stick approaches of the Nigerian government has polarised the Nigerian public into two groups: those who support the use of coercion on the one hand and supporters of conciliation on the other (Aghedo and Osumah 2012). Advocates of a coercive approach to tackling terrorism argue that force rather than dialogue is more effective in dealing with terrorist organisations. However, many others are overwhelmed by the threat of a possible civil war in a country of about 170 million people – Africa’s largest. 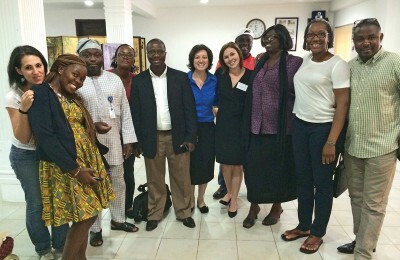 These people contend that a coercive strategy would be ineffective in resolving the crisis because of ‘the relative incapacity of the state security apparatus’ and the fact that ‘Boko Haram rebels operate from among the people and target both government and ordinary citizens’ (Aghedo and Osumah 2012:854). These people suggest non-killing measures, including political dialogue and amnesty packages. Also, the carrot and stick approaches of the Nigerian government have generated mixed reactions from informed observers. Some argue that the Nigerian government was forced into taking a military action against Boko Haram. According to Mahmud, a famous constitutional lawyer in Nigeria, ‘[n]o government anywhere will allow a group to usurp part of its territorial sovereignty. The declaration of a state of emergency was necessitated by the constitutional obligation to restore a portion of Nigeria’s territory taken over by an armed group which involves the suspension of constitutional provisions relating to civic rights’ (IRIN 22 May 2013). Other observers, however, worry that the stick response of the Nigerian government will force Boko Haram to shift their bases, with grave consequences for Nigeria and neighbouring countries. As Nigerian political scientist Kyari argues, ‘Boko Haram cannot face Nigerian troops in conventional war; the troop deployment to northern Borno means they will move out to other towns and cities with less military presence and launch guerrilla war, which is deadlier’ (IRIN 22 May 2013). While the current military crackdowns on Boko Haram has the potential to significantly degrade the group’s operational capability to mount large-scale and coordinated violent attacks, it must be considered that relying exclusively on such an approach may increasingly force ultra-radical elements within the group to network with global jihadist groups like Al-Qaeda in the Islamic Maghreb and the Somali-based Al-Shabaab as a form of survival strategy. In the event of this happening, the group’s operational base could expand beyond northern Nigeria and their target selection could change fundamentally to include attacks on Western interests. Although the establishment of the amnesty Committee reflects President Goodluck Jonathan’s acknowledgment that purely military means cannot resolve the current impasse, it is also consistent with policymaking tendencies toward the extremist group that are ‘reactive, ad hoc, and cyclical’ (Thurston 2013). The current Boko Haram crisis poses the fiercest challenge to Nigeria’s unity since the end of the three-year Civil War in 1970. The International Crisis Group (2014:40) notes that the Boko Haram crisis has fractured Nigerians along religious lines and thus ‘reversed some of the country’s hard-won gains in building national unity and stability’. In addition, the generalised sense of insecurity and ubiquitous bomb scares has dealt a major blow to political and socio-economic activities in northern Nigeria. With the 2015 elections approaching, Boko Haram has remained unrelenting and as a result, local communities are growing increasingly apprehensive due to the frequent bombings, shootings, and arbitrary killings on the part of state security forces. Unfortunately, military crackdowns have failed to curb spiralling violence in northern Nigeria or to rein in Boko Haram’s violent attacks; on the contrary, it might have even strengthened Boko Haram’s resolve against the Nigerian state, while alienating the local community. In a recent video footage, Boko Haram’s leader, Abubakar Shekau, claimed that the ongoing military offensive against his group by the Nigerian forces is failing. In the video, Shekau called on his fellow brethren from Iraq, Pakistan, Afghanistan, and Syria to join what he called Boko Haram’s jihad. He assured them that ‘we are strong, hale and hearty since they [the Nigerian forces] launched this assault on us following the state of emergency declaration’ (Al Jazeera 2013a). Shekau’s words cast serious doubts on the one-sided victory claims by the Nigerian security forces that the Boko Haram rebellion has been crushed (Agbiboa 2013a). A significant aspect of the current campaign of violence in northern Nigeria is the rigidity of the Nigerian forces in dealing with Boko Haram. Admittedly, resolving the current crisis is not an easy task, but resorting to the unidirectional tactics of military crackdowns can only further complicate matters by militarising the polity and escalating violence. We argue that efforts must be made to understand which strategic choices would sustainably attend both to the underlying factors that make Nigeria vulnerable to terrorist threat and to the sustained grievances of Boko Haram. In other words, the failure of military force to reduce spiralling violence in northern Nigeria calls for a strategic rethink that must be open to all the components that are conducive to violence. To this end, we make specific recommendations to the Nigerian state, the neighbouring states in the region (ECOWAS member states), the Nigerian people and religious leaders of the different convictions, but especially of Islam, and to the Boko Haram group itself. (1) The Nigerian government should work towards winning the confidence of Boko Haram by implementing some of the demands the group members presented to the government, including the release and the payment of compensation to the families of those killed in the security crackdowns by the JTF. This will demonstrate to the Boko Haram members that the government is sincere about its willingness to hold dialogue with them. In addition, as the 2015 election approaches, the northern governors and other public officials must strive to guard against any form of electoral violence or religious intolerance during this period. Already, there are widespread allegations from southern Nigeria that Boko Haram is the handiwork of northern leaders. If the 2015 elections turn violent in northern Nigeria as in 2011, the integrity and reputation of northern leaders will be severely tainted. (2) The Nigerian government must develop an effective counterterrorism policy that goes beyond a security-only killing approach in order to embed counterterrorism in an overarching national security strategy that appreciates the broader context in which Islamic radicalisation occurs. What Nigeria has lacked so far is a viable concept of strategic counterterrorism that will guide her actions, help undermine the recruitment of terrorists, and change the environment they inhabit into an increasingly non-violent and permissive one. The declaration, on 18 March 2014, by the National Security Adviser of the adoption of ‘soft approaches’ to counter Boko Haram is a progressive step in this direction (ICG 2014:42). The Nigerian state must demonstrate the willingness and consistency to implement these soft approaches in tackling the Boko Haram crisis. This will entail, at least, the institutionalisation of counter-radicalisation programmes and civic education in schools, communities and religious houses; the provision of entrepreneurial opportunities for the countless jobless youth in northern Nigeria, and the entire country; and the establishment of counselling centres and social support services for extremists and detained terrorists or suspected terrorists. (3) There is a need for an intelligence-led strategy to better confront Boko Haram’s localised terrorist activities and its global aspirations. Added to this, there is a necessity for greater international cooperation in terms of identifying and intercepting Boko Haram’s growing external funding, weapon sources, and training which is crucial to the group’s operational capabilities. In this context, the Nigerian Police Force can benefit greatly from the work of the International Criminal Police Organisation (INTERPOL) who have more sophisticated intelligence gathering equipment and experts on transnational crime in West Africa. Thus, the Nigerian state should organise an effective means of cooperating with INTERPOL in order to benefit from its operations, training, and equipment. (4) Since Boko Haram is infusing religion into a long-churning brew of grievances about corruption, injustice and unfair distribution of wealth and power, a long-term strategy that will undercut the jihadist appeal in northern Nigeria must address the sources of socio-economic inequalities and human insecurity in the region – the poorest geopolitical zone in Nigeria in terms of socio-economic indices. In collaboration with the state and local governments, the federal government should undertake a grassroots socio-economic empowerment programme that is aimed at generating employment opportunities and promoting human security. In this regard, it is important to recall the words of Azar, that ‘conflict resolution can only occur and last if satisfactory amelioration of underdevelopment occurs as well ….’ (cited in Ramsbotham et al. 2008:86). Similarly, Schroder (2003:1) argues that ‘… to address the root causes of terrorism and insecurity … we must ensure social and material but also cultural security’. In line with Azar and Schroder, we argue that non-killing policies that overcome economic and social insecurity or political instability are most likely to be effective in reducing the incentives for religious terrorism in northern Nigeria. Some prominent Nigerians, including the former Central Bank Governor, Sanusi Lamido Sanusi, have pushed for the establishment of a federal ministry of northern development similar to the one established in the Niger Delta region (ICG 2014:42). Even if this ministry does not see the light of day, it is incumbent upon the Nigerian state to channel resources and demonstrate the will toward developing the largely dormant agricultural and other economic industries in northern Nigeria. (5) The use of military force as a counterterrorism strategy is frequently unwise because it is inevitably indiscriminate and often results in the alienation of exactly those individuals in northern Nigeria who we do not want radicalised. Moreover, military action against terrorist targets often causes the deaths of innocent civilians, no matter how much care is taken (Agbiboa 2013b). A military strategy does not only provide terrorists with critical experience in tactics, but forces them to create new networks of support as a form of survival strategy. A non-killing strategy that perseveres in political dialogue is likely to win the trust of the Boko Haram leadership which is crucial to bringing them to the negotiating table (Agbiboa and Maiangwa 2013). Bearing in mind that the threat of Boko Haram is expanding into neighbouring countries, with recent attacks and kidnapping of foreigners by Boko Haram in Cameroon, we argue that regional efforts and collaboration in counterterrorism is essential in combating not just the terrorism of Boko Haram, but other terrorist franchises holding sway in West Africa and the entire Sahel Sahara axis. As it stands, the Nigerian state is currently struggling to combat the terrorism of Boko Haram, and its appreciable weakness in this capacity has also affected its contribution to the regional counterterrorism efforts under the auspices of ECOWAS. Along these lines, Nigeria will need the help of its neighbours, especially those with whom it shares contiguous borders, such as Niger, Chad, and Cameroon. 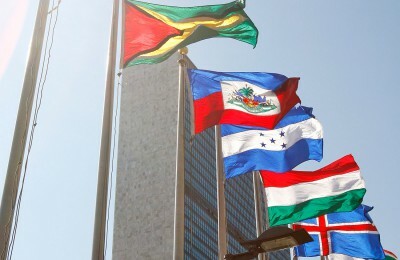 Together, these countries can develop efficient intelligence-sharing capability and provide well-trained security forces to police their porous borders against the influx of weapons, terrorist elements and drugs. In the long-run, ECOWAS will have to revitalise its Stand-by Force for this purpose. But it can only do so with the support and commitment of its member states and, of course, the African Union and the United Nations. In addition to this regional effort, the International Crisis Group (2014:46) argues that Nigeria should urgently implement its policy of sending senior ambassadors and defence attachés to deliberate on security matters with other countries within the West African region. If successful, this can lead to strong bilateral security arrangements between Nigeria and her immediate neighbours who are also affected by the Boko Haram crisis. There is an urgent need for religious leaders and followers of the different religious convictions in Nigeria to join together to publicly denounce all forms of religious intolerance and sectarian violence and encourage, especially through sermons, the need for religious harmony and tolerance of other faiths. In particular, dialogue between Christians and Muslims is vital because it will help clear the clouds of misunderstanding and create a better ambience of mutual enrichment. In addition, dialogue about action, communion and socio-political life should be promoted at all levels of society. These could include joint social projects, joint health projects and joint economic ventures that will facilitate community development and peaceful coexistence. All religious communities must understand that there is no alternative to inter-faith dialogue, as there can never be a universal religion or an exclusive society for adherents of a particular religion. The Nigerian state can encourage interfaith dialogue by establishing interfaith dialogue centres in various parts of the country, beginning from the north. The state governors can support this initiative by appointing renowned religious leaders from both the Christian and Islamic faiths to lead interfaith dialogue and programmes of mutual understanding in these centres (Maiangwa 2013). Islamic religious leaders in northern Nigeria should also find a way of dismantling the textual universe of Salafist Islam on which the Boko Haram ideology hinges (Ulph 2013:72). Also, Christian and Muslim religious education should be tailored in such a way as to eschew the exclusive teaching of dogmatic Christian and Islamic doctrines and to foster mutual respect, tolerance and amity. It cannot be expected that the gains of such engagement will come any time soon because it will require ‘massive investments in educational resources’ (Ulph 2013:72). However, if the process is delayed or not executed, there may be no end in sight to Islamic radicalism in northern Nigeria. Boko Haram also has a significant role to play in resolving some of its grievances. In this regard, we press further the view of the International Crisis Group (2014:47) that Boko Haram should ‘formulate clear minimalist conditions for ending the violence … the sect and its affiliates should explore with the government how to reach a rapprochement’. This will enable the Boko Haram group to continue with its tradition of helping the poor and the less privileged through acts of social work and charity, which are also notable works undertaken by some terrorist groups elsewhere like Hezbollah and Hamas (Moghaddam 2006:3). However, as already stated in the theoretical section of this paper, appeasing a religious terrorist group like Boko Haram will be a difficult endeavour, if not altogether an impossible task. This is particularly so due to what we alluded to as the poisoned worldview of universal/abstract religious terrorist groups who revel in jihad as the only solution to attaining their spiritual objectives (Byman 2003:147). In the final analysis, if Boko Haram remains determined to Islamise Nigeria, the cycle of violence involving the group and the Nigerian state will persist with insidious consequences on the lives of ordinary civilians. In the long run, the Nigerian state may eventually win the war against the group. But as we have argued, this Pyrrhic victory will entirely depend on how the battle is fought. Adesoji, Abimbola 2011. Between Maitatsine and Boko Haram: Islamic fundamentalism and the response of the Nigerian State. Africa Today, 57 (4), pp. 99–119. Agbiboa, Daniel E. 2013a. No retreat, no surrender: Understanding the religious terrorism of Boko Haram. African Study Monographs, 34 (2), pp. 65–84. Agbiboa, Daniel E. 2013b. Peace at dagger’s drawn? Boko Haram and the state of emergency in Nigeria. Studies in Conflict and Terrorism, 37 (1), pp. 41–67. Agbiboa, Daniel E. 2013c. The Nigerian burden: Boko Haram and religious terrorism in Nigeria. Conflict, Security and Development, 13 (1), pp. 1–29. Agbiboa, Daniel E. 2013d. (Sp)oiling domestic terrorism? Boko Haram and state response. Peace Review: A Journal of Social Justice, 25 (1), pp. 431–438. Agbiboa, Daniel E. 2014a. Is might right? Boko Haram, Joint Military Task Force, and the global Jihad. Military and Strategic Affairs, 5 (3), pp. 53–72. Agbiboa, Daniel E. 2014b. The Westgate terrorist attack and the transformation of Al-Shabaab: A global Jihadist perspective. The Davies Paper: Africa Series #3, pp. 1–19. David Davies Memorial Institute of International Studies, March. Agbiboa, Daniel E. 2014c. Boko Haram: Nigeria’s problem that will not go away. Sahara Reporters, 17 April. Available from: <http://saharareporters.com/article/boko-haram-nigeria%E2%80%99s-problem-will-not-go-away-daniel-e-agbiboa> [Accessed 8 May 2014]. Agbiboa, Daniel E. and Benjamin Maiangwa 2013. Boko Haram and current religious violence in Nigeria: Towards a non-killing approach. Journal of Developing Societies, 29 (4), pp. 379–403. Aghedo, Iro and Oarhe Osumah 2012. The Boko Haram uprising: How should Nigeria respond? Third World Quarterly, 33 (5), pp. 853–869. Ake, Claude 1992. 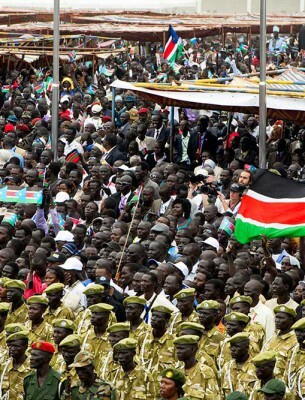 What is the problem of ethnicity in Africa? Keynote address presented at the Conference on Ethnicity, Society and Conflict, University of Natal, South Africa, 14–16 September. Al Jazeera News 2013a. Nigerian forces shell fighter camps. 17 May. Available from: <http://www.aljazeera.com/news.africa/2013/05/20135171163037848.html> [Accessed 18 June 2013]. Al Jazeera News 2013b. Boko Haram denies loosing Nigeria battle. 30 May. 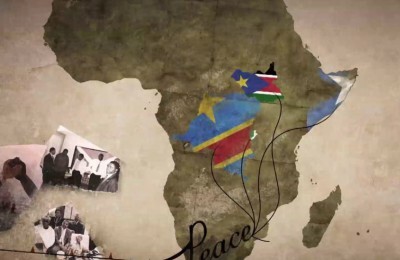 Available from: <http://www.aljazeera.com/news/africa/2013/05/201353044026628480.html> [Accessed 18 June 2013]. Alemika, Etannibi 1988. Policing and perceptions of police in Nigeria. Police Studies, 11 (4), p. 161. American Foreign Policy Council 2013. Boko Haram. World Almanac of Islamism, pp. 1–10. Available from: <http://almanac.afpc.org/sites/almanac.afpc.org/files/Boko%20Haram.pdf> [Accessed 7 April 2014]. Atlanta Blackstar 2013. After rejecting Nigeria’s amnesty offer: Boko Haram continues to kill. 23 April. Nick Chilles. Available from: <http://atlantablackstar.com/2013/04/23/ after-rejecting-nigerias-amnesty-offer-boko-haram-continues-to-kill/> [Accessed 22 July 2013]. Bamidele, Oluwaseun 2012. Boko Haram catastrophic terrorism: An albatross to national peace, security and sustainable development in Nigeria. Journal of Sustainable Development in Africa, 14 (1), pp. 32–44. BBC (British Broadcasting Corporation) News 2009. Nigeria’s Taliban enigma. 31 July. Available from: <http;//news.bbc.co.uk/2/hi/8172270.stm> [Accessed 16 June 2013]. BBC News 2013a. Nigeria: Goodluck Jonathan declares emergency in states. 15 May. Available from: <http://www.bbc.co.uk/news/world-africa-22533974> [Accessed 13 June 2013]. BBC News 2013b. Nigerian army destroys Boko Haram camps in Northeast. 24 May. Available from: <http://www.bbc.co.uk/news/world-africa-22662476> [Accessed 16 June 2013]. Byman, Daniel 2003. Al-Qaeda as an adversary: Do we understand our enemy? World Politics, 56 (1), pp. 139–163. Chothia, Farouk 2011. Who are Nigeria’s Boko Haram Islamists? BBC News. 26 August. Available from: <http://www.bbc.co.uk/news/world-africa-13809501> [Accessed 22 June 2013]. CNN (Cable News Network) 2013. Boko Haram offshoots announce death of seven hostages in Nigeria. 9 March. Available from: <http://edition.cnn.com/2013/03/09/world/africa/nigeria-kidnapping> [Accessed 22 June 2013]. Council on Foreign Relations 2012. Boko Haram and Nigeria’s pervasive violence. Available from: <http://www.cfr.org/nigeria/boko-haram-nigerias-pervasive-violence/p29706> [Accessed 18 June 2013]. Cronin, Audrey 2003. Behind the curve: Globalisation and international terrorism. International Security, 27 (3), pp. 30–58. Daily Trust 2009. Nigeria: Boko Haram sect leader Ustaz Mohammed vows revenge. 27 July. Available from: <http://www.nairaland.com/302352/islamists-yar-adua-want-totla/6> [Accessed 16 June 2013]. Danjibo, Nathaniel D. 2009. Islamic fundamentalism and sectarian violence: The Maitatsine and Boko Haram crisis in Nigeria. Paper presented at the 2009 IFRA (French Institute for Research in Africa) Conference on Conflict and Violence, Zaria, Nigeria. Available from: <http://www.ifra-nigeria.org.spip.php?article156> [Accessed 16 June 2013]. Falola, Toyin 1998. Violence in Nigeria: The crisis of religious politics and secular ideologies. Rochester, NY, Rochester University Press. Foreign Policy 2014. Nigeria’s absent Commander-in-Chief Azubuike Ishiekwene. 6 May. Available from: <http://www.foreignpolicy.com/articles/2014/05/09/nigerias_absent_commander_in_chief_goodluck_jonathan_boko_haram> [Accessed 9 May 2014]. Forest, James 2012. Confronting the terrorism of Boko Haram in Nigeria. JSOU (Joint Special Operations University) Report, 2 (5), pp. 1–178. Fox News 2013. Nigerian President declares state of emergency. 14 May. Available from: <http://www.foxnews.com/world/2013/05/14/state-emergency-declared-in-nigeria/> [Accessed 22 July 2013]. Gunning, Joroen and Richard Jackson 2011. What’s so religious about religious terrorism? Critical Studies on Terrorism, 4 (3), pp. 369–388. Hasenclever, Andreas and Volker Rittberger 2000. Does religion make a difference? Theoretical approaches to the impact of faith on political conflict. Millennium, 29 (3), pp. 641–674. Hickey, Raymond 1984. The 1982 Maitatsine uprisings in Nigeria: A note. African Affairs, 83 (331), pp. 251–256. Hoffman, Bruce 2006. Inside terrorism. New York, Columbia University Press. HRW (Human Rights Watch) 2012. Spiralling violence: Boko Haram attacks and security forces abuses in Nigeria. Available from: <http://www.hrw.org/news/2011/05/16/nigeria-post-election-violence-killed-800> [Accessed 17 June 2013]. ICG (International Crisis Group) 2014. Curbing violence in Nigeria (11): The Boko Haram insurgency. Africa Report, No 216, pp. 1–54. IRIN (Integrated Regional Information Networks) 2012. Nigeria: Carrot or stick? Nigerians divided over Boko Haram. 16 July. 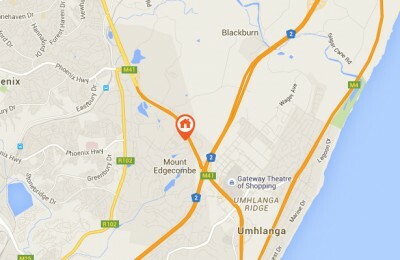 Available from: <http://allafrica.com/stories/201207161855.html?viewall=1> [Accessed 14 June 2013]. IRIN 2013. Nigerians on the run as military combat Boko Haram. 22 May. 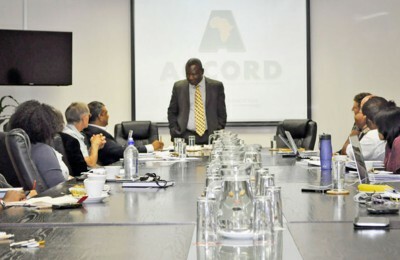 Available from: <http://allafrica.com/stories/2013052221267.html> [Accessed 16 June 2013]. Jenkins, Brian 1975. International terrorism: A new mode of conflict. Los Angeles, Crescent. Juergensmeyer, Mark 1997. Terror mandated by God. Terrorism and Political Violence, 9 (2), pp. 16–23. Juergensmeyer, Mark 2003. Terror in the mind of God: The global rise of religious violence. Berkeley, University of California Press. Krieger, Tim and Daniel Meierrieks 2011. What causes terrorism? Public Choice, 147, pp. 2–27. 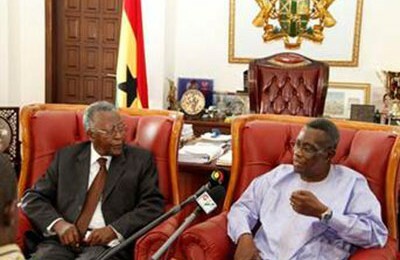 Kukah, Mathew 2012. Nigeria: Country as an emerging democracy: The Dilemma and the Promise. Daily Trust, Abuja, 9 September. 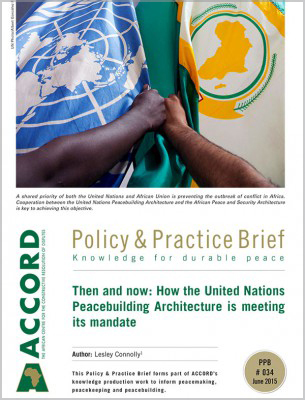 Available from: <http://allafrica.com/series/201209090189.html?viewall=1> [Accessed 18 June 2013]. Kwaja, Chris 2011. Nigeria’s pernicious drivers of ethno-religious conflicts. Africa Security Brief. 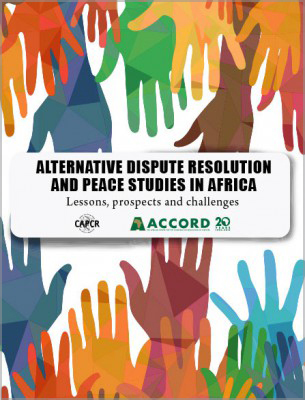 Available from: <http://africacenter.org/wp-content/uploads/2011/06/AfricaBriefFinal_14.pdf> [Accessed 22 June 2013]. Lewis, Peter 2002. Islam, protest, and conflict in Nigeria. CSIS (Center for Strategic and International Studies) Africa Notes, 10, pp. 1–10. 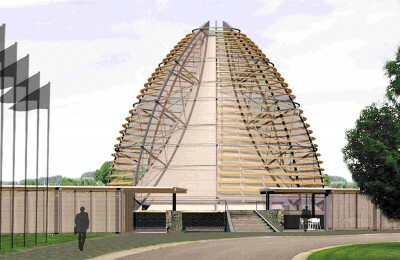 Maiangwa, Benjamin 2013. State fragility and the reign of terror in Nigeria: A case study of Boko Haram terrorism. Published Master’s thesis. Available from: <http://researchspace.ukzn.ac.za/xmlui/bitstream/handle/10413/9045/Maiangwa_Benjamin_2012.pdf?sequence=1> [Accessed 18 June 2013]. Maiangwa, Benjamin 2014. Soldiers of God or Allah: Religious politicization and the Boko Haram crisis in Nigeria. Journal of Terrorism Research, 5 (1), pp. 58–66. Maiangwa, Benjamin and Ufo O. Uzodike 2012. The changing dynamics of Boko Haram terrorism. Report, Aljazeera Centre for Studies, pp. 1–6. 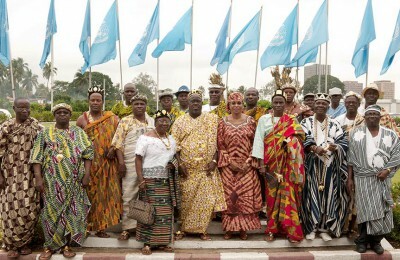 Maiangwa, Benjamin, Ufo O. Uzodike, Ayo Whetho and H. Onapajo 2012. Baptism by fire: Boko Haram and the reign of terror in Nigeria. Africa Today, 59 (2), pp. 41–57. Mickolus, Edward F. 1980. Transnational terrorism: A chronology of events. Westport, CT, Greenwood. Moghaddam, Fathali M. 2006. From the terrorists’ point of view: What they experience and why they come to destroy. Westport, Praeger Security International. Morgan, Matthew 2004. The origins of the new terrorism. Parameters, 34 (1), pp. 30–31. Mustapha, Adul Raufu 2012. Boko Haram: Killing in God’s name. Mail and Guardian, 5 April. 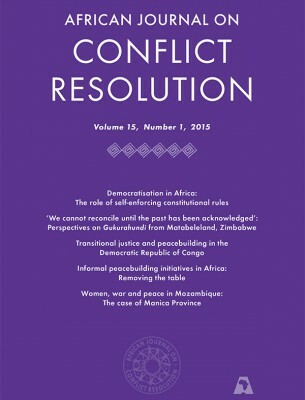 Available from: <http://allafrica.com/stories/201304050505.html> [Accessed 18 June 2013]. OECD (Organisation for Economic Co-operation and Development) 2013. Conflict over resources and terrorism: Two facets of insecurity. 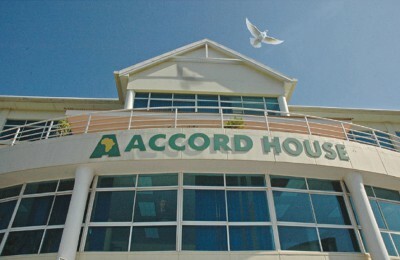 OECD Publishing. 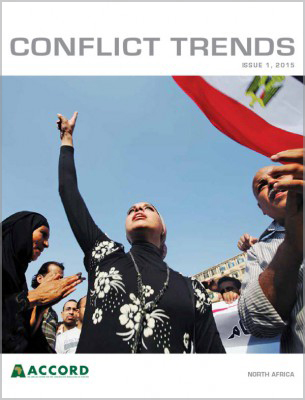 Available from: <http://www.keepeek.com/Digital-Asset-Management/oecd/development/conflict-over-resources-and-terrorism_9789264190283-en> [Accessed 18 June 2013]. Olugbode, Michael 2013. A brewing disaster nipped in the bud. This Day, 26 October 2013. Available from: <http://www.thisdaylive.com/articles/civilian-jtf-a-brewing-disaster-nipped-in-the-bud/162656/> [Accessed 11 April 2014]. Onu, Emele and Mustapha Muhammad 2011. Nigeria bank raids reach 100 this year on Boko Haram attacks. Bloomberg News, 10 December. Available from: <http://www.businessweek.com/news/2011–12-10/nigeria-bank-raids-reach-100-this-year-on-boko-haram-attacks. html> [Accessed 12 June 2013]. Onuoha, Freedom C. 2012. Boko Haram: Nigeria’s extremist Islamic sect. Al Jazeera Centre for Studies, 29 (2), pp. 1–6. Paris Model United Nations 2012. Research Report for the Political Committee: Question of combating Islamic terrorist organizations in Africa. Available from: <http://asparis.net/pamun/pamun2012/wp-content/uploads/2012/09/Islamic-Terrorism-FINAL.pdf> [Accessed 18 June 2013]. Pham, J. Peter 2012. Boko Haram’s evolving threat. Africa Security Brief, 20, pp. 1–7. Piazza, James 2009. Is Islamist terrorism more dangerous? An empirical study of group ideology, organization, and goal structure. Terrorism and Political Violence, 21 (1), pp. 62–88. Ramsbotham, Oliver, Tom Woodhouse and Hugh Miall 2008. Contemporary conflict resolution. Cambridge, Cambridge University Press. Ranstorp, Magnus 1996. Terrorism in the name of religion. Journal of International Affairs, 50 (1), pp. 41–62. Rapoport, David C. 1984. Fear and trembling: Terrorism in three religious traditions. American Political Science Review, 78 (3), pp. 658–677. Rapoport, David C. 1998. Sacred terror: A contemporary example from Islam. In: Reich, Walter ed. Origins of terrorism, psychological ideologies, theologies, states of mind. Washington, D.C., Woodrow Wilson Center, pp. 161–191. Romero, Antonio J. 2007. The different faces of Islamic terrorism. International Review of Sociology, 17 (3), pp. 443–458. Rosati, Jerel A., David J. Carroll and Coate A. Roger 1990. A critical assessment of the power of human needs in world society. In: Burton, John and Frank Dukes eds. Conflict: Readings in management and resolution. Basingstoke, B Press, pp. 156–159. Sahara Reporters 2013. Nigerian troops rescue women and children kidnapped by Boko Haram. 24 May. Available from: <http://sharareporters.com/news-page/nigerian-troops-rescue-women-and-children-kidnapped-boko-haram> [Accessed 16 June 2013]. Sandler, Todd, John Tschirhart and Jon Cauley 1983. A theoretical analysis of transnational terrorism. American Political Science Review, 77 (4), pp. 36–54. Schroder, Gerhard 2003. Address at the 58th Session of the United Nations General Assembly. United Nations Headquarters, New York, September 24. Solomon, Hussein 2012. Counter-terrorism in Nigeria: Responding to Boko Haram. The RUSI (Royal United Services Institute for Defence and Security Studies) Journal, 157, pp. 6–11. Stern, Jessica 1999. The ultimate terrorists. Cambridge, MA, Harvard University Press. The Guardian (Nigeria) 2013. French family seized in Cameroon by suspected Boko Haram Islamists freed. 19 April. Available from: <http://www.theguardian.com/world/2013/ apr/19/french-family-kidnapped-cameroon-freed> [Accessed 22 July 2013]. Thurston, Alex 2011. Threat of militancy in Nigeria. Commentary for Carnegie Endowment for International Peace. 1 September 2011. Available from: <http://carnegieendowment.org/2011/09/01threat-of-militancy-in-nigeria/4yk8> [Accessed 16 June 2013]. Thurston, Alex 2013. Amnesty for Boko Haram: Lessons from the past. Africa Futures, 20 May. Available from: <http://forums.ssrc.org/african-futures/2013/05/20/amnesty-for-boko-haram-lessons-from-the-past/> [Accessed 18 June 2013]. Ulph, Stephen 2013. Boko Haram: Investigating the ideological background to the rise of an Islamist militant organization. Available from: <http://www.scribd.com/doc/178672818/BOKO-HARAM-Investigating-the-Ideological-Background-to-the-Rise-of-an-Islamist-Militant-Organisation> [Accessed 7 April 2014]. 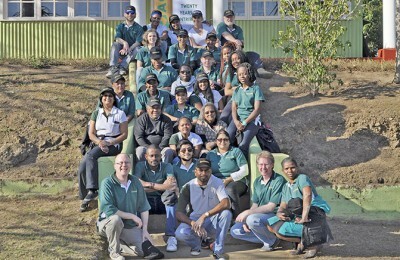 Vanguard (Nigeria) 2012. Boko Haram: Splinter group Ansaru emerges. 2 February. Available from: <http://www.vanguardngr.com/2012/02/boko-haram-splinter-group-ansaru-emerges/> [Accessed 18 June 2013]. Walker, Andrew 2012. What is Boko Haram? Special Report. United States Institute of Peace (USIP), pp. 1–15. Available from: <http://www.usip.org/sites/default/files/SR308.pdf> [Accessed 7 March 2014]. Zenn, Jacob 2013. Boko Haram’s international connections. CTC (Combating Terrorism Center) Sentinel, 6 (1), pp. 7–12. Available from: <http://www.ctc.usma.edu/posts/boko-harams-international-connections> [Accessed 24 March 2014]. Zenn, Jacob 2014. Leadership analysis of Boko Haram and Ansaru in Nigeria. CTC Sentinel, 7 (2), pp. 23–29. Available from: <https://www.ctc.usma.edu/wp-content/uploads/2014/02/CTCSentinel-Vol7Iss2.pdf> [Accessed 7 April 2014]. Ansaru emerged as a splinter sect of Boko Haram given its displeasure with the latter’s style of operations, and killings of innocent civilians, which it described as inhuman to the Muslim community. Hence, it vowed to restore dignity and sanity to ‘the lost dignity of Muslims in black Africa’ and to bring back the dignity of Islam in Nigeria and the Sokoto Caliphate, founded by Usman Dan Fodio in the late eighteenth century (Vanguard 2 February 2012). While the amnesty deal in the Niger Delta allowed the state to buy off militant leaders to ensure maximum oil production, such a strategy might be impracticable with Boko Haram terrorists because of their narratives of grievance, which, as Aghedo and Osumah (2012:854) argue, are largely religiously driven and therefore less pecuniary than those of the Niger Delta militants, whose grievances were for a more equitable share of oil rents sourced from their homelands (see Thurston 2013).